Here are our top five most memorable moments from this weekend’s $200,000 event. Last weekend’s Call of Duty World League Anaheim Open was one of the most exciting and action-packed tournaments in recent memory. There were so many thrilling moments and exhilarating upsets at the event that the Call of Duty community is still trying to digest everything that took place. Even with a plethora of amazing plays to choose from, picking the top five moments from CWL Anaheim was a lot more difficult than you’d think—especially when you consider all of great moments that happened off-stream, such as Cloud9’s insane Hardpoint comeback against Red Reserve. There are bound to be some phenomenal moments left of this list, but nevertheless, here are our top five plays from the CWL Anaheim Open. Our No. 5 play comes from the Evil Geniuses vs. FaZe Clan pool play match. With EG holding an 80 point lead over FaZe on Retaliation Hardpoint, Colt “Havok” McLendon had enough time to show off his “light it up” gesture—and then proceeded to destroy any hope FaZe had of making a comeback. The score was 244-164, and FaZe had one last chance to stall the game out by breaking into the broken Hardpoint hill. Havok preemptively used his Reactive Armor payload and took down Dillon “Attach” Price. EG’s 19-year-old slayer then looked to his right to melt James “Clayster” Eubanks before turning on Ian “Enable” Wyatt to end the game. Havok was fired up after he helped EG secure a 1-0 lead against FaZe, in a series that Evil Geniuses eventually won 3-2. In a close series against a very strong FaZe roster, Havok’s play was instrumental in his team’s victory—and how many times do you see a player get a three-piece right after using a gesture? OpTic Gaming’s captain absolutely demolished Enigma6 on Crusher Search and Destroy in our No. 4 play of CWL Anaheim. In the fifth round of the losers bracket, the Green Wall was facing a 1-0 deficit against E6 after dropping the initial Hardpoint. Seth “Scump” Abner responded with a 16-kill performance to lead OpTic to a 6-4 win in the second map of this series. Scump took down every player on E6 in the third round to earn his Trinity Rocket scorestreak, and he planted the bomb in the following round to get a Bombardment. Even though the game was tied at 2-2, Scump was 8-2 and used his Bombardment in the fifth round to secure two more kills. OpTic eventually closed out the map thanks to Scump’s Trinity Rocket in the 10th round, and the Green Wall tied the series at one map each. Enigma6 did go on to upset OpTic and eliminate them from the tournament, but this was still a remarkable single-map performance from Scump that helped keep his team alive. Enigma6 shows up once again on this list at No. 3—and just like last time, it’s not in a positive manner. Facing off against Splyce in the sixth round of the losers bracket, E6 lost the opening Hardpoint. The series moved to Crusher Search and Destroy—and after seeing what Scump did to Enigma6 on this map, E6 fans were probably worried. E6 actually jumped out to an early lead, thanks to a one-on-three clutch by Jordon General. But Splyce clawed their way back into the map, eventually evening the score at four rounds apiece. In the ninth round, Splyce planted the bomb, but E6 quickly took out three players on the European squad—all except for Ben Bance. In a one-on-three situation, Bance killed one player from behind and jumped back up on top of the skybridge to earn another kill. Now in a one-on-one situation against General, Bance used his Active Camo payload. General could only spray and pray as the invisible Bance took his time and lined up the kill for the one-on-three clutch. This particular clutch was even more impressive since it was so late in the game and Splyce went on to win the map, and make it all the way to the grand finals. In one of the funniest moments of the entire tournament, CWL caster Jack “CouRage” Dunlop belted out a hilarious one-liner during the grand finals between Splyce and Luminosity. The grand finals started on Scorch Hardpoint—and it was easily one of the most intense maps in Call of Duty history. Both teams were around 230 points and only need 20 more seconds in the Hardpoint to win the map. With the game on the line, Luminosity’s Sam “Octane” Larew—the eventual tournament MVP—stepped up big time for his squad. Octane delivered an impressive six killstreak to bring Luminosity within one second of winning the opening map of the grand finals. Although Splyce went on to win the map 250-249, this was an incredible killstreak by Octane in a high-pressure situation—and CouRage made the moment even better by shouting out “daddy’s home” after Octane’s sixth consecutive kill. The combination of Octane’s dominant killstreak and CouRage’s hilarious casting definitely warrants a spot on this list. Our top play from the CWL Anaheim Open came from the pool play showdown between BitterSweet and FaZe Clan. BitterSweet was one of the most remarkable stories from this past weekend’s tournament—qualifying for the second season of the CWL Global Pro League and placing top 12 at Anaheim. One of the main reasons why BitterSweet performed so well in pool play was thanks to Devin “LlamaGod” Tran, who really emerged as a rising star at this event. The series against FaZe was tied at one map each when both teams headed to Frost Uplink. In the final 90 seconds of the game, BitterSweet was facing an 8-5 deficit when LlamaGod made the play of the tournament. Llama picked up the drone and ran right through the middle connector. Clayster jumped out to contest BitterSweet’s score attempt, but Llama threw the ball forward and used his FTL Jump payload to dash right past Clay, pick up the drone, and dunk it home for two points. BitterSweet eventually went on to win this map too, thanks to a last-second dunk by Michael “SpaceLy” Schmale. But Llama’s FTL dunk takes home our No. 1 spot as the top play from CWL Anaheim because it was a remarkable individual moment that embodies BitterSweet’s story from this event—defying all odds and proving any doubters wrong. 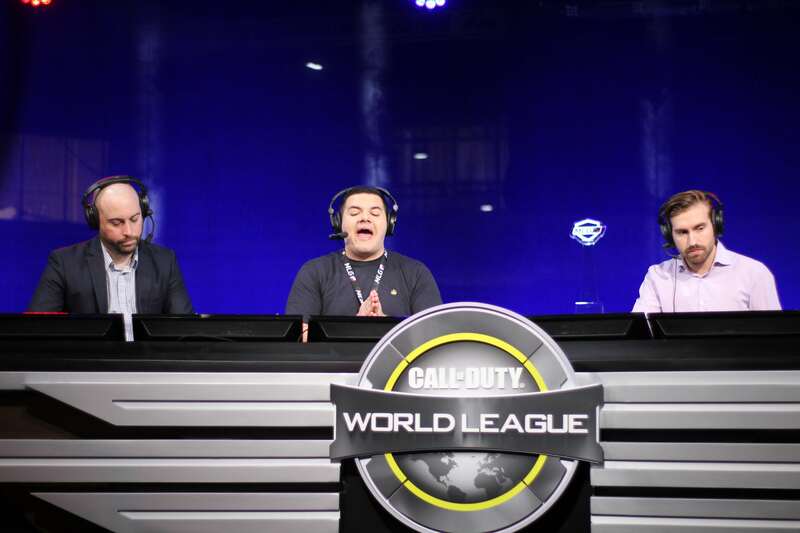 Call of Duty fans are definitely hoping to see more plays like that from Llama and the rest of the pro league when the CWL GPL resumes on June 30.